In the year 1878, Silverbear, a holy man for a Shoshone band of Indians, prepares for an ancient Bear Dance. They are tired of white settlers defiling their land and slaughtering animals. Poachers desecrate all that is holy with Mother Earth, killing animals for their hide and leaving the meat behind to rot. The Shoshone call on the Great Spirit Bear to stop these appalling acts. 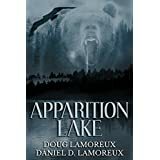 Move forward to 1996 in Yellowstone National Park and Chief Ranger Glen Merrill is still plagued by poachers who kill bears for their gallbladder, a supposed aphrodisiac, and elk for their antlers, the bodies left behind to rot. But he must also deal with recent unexplained deaths of tourists and park rangers. Witnesses claim it was a massive grizzly that attacked, but when film is developed of the supposed kill, nothing can be seen. This fascinating story combines old legends, curses and revenge, with the new. We learn of a holy man whose spirit is trapped on a land he loves, attacking those who refuse to show Mother Earth the respect she deserves. We learn about Native American legends and how they feel today about what’s been done to the land and people, the balance that needs to be restored if nature and man are ever to live in harmony. I would recommend this novel to anyone who enjoys nature and learning about Native American heritage. The characters are well-drawn and interesting as the plot escalates toward an exciting end. Add a bit of the supernatural and you have a fast-paced novel that shows the consequences of man’s negligence and what one Park Ranger is willing to do to help bring back balance. Born and raised in the rugged mountains of Oregon, I’ve always had a love and healthy respect for the land and animals. Though I’ve never had the pleasure of visiting Yellowstone, the description given in this novel of its power and majestic beauty makes me long to see it firsthand. Posted by Denna Holm on September 21, 2014 in Archives and tagged Chief Ranger Glen Merrill, Grizzly, legends, Mother Earth, Native American, Yellowstone National Park.